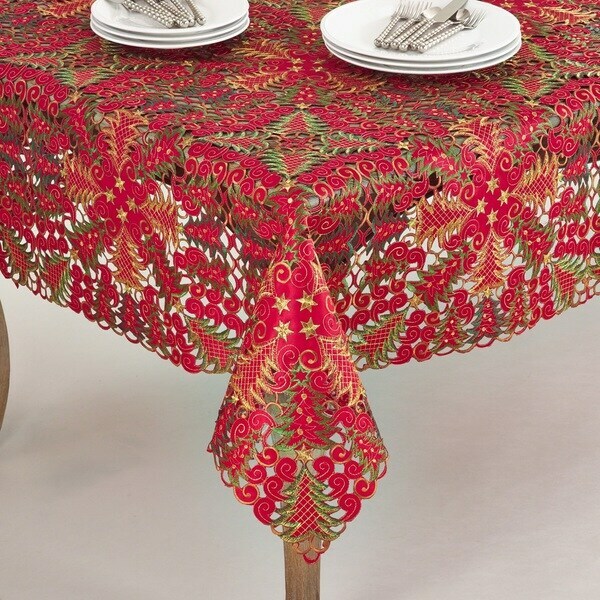 Dress your table in holiday style with Saro Lifestyle's Panettone Collection Christmas cutwork design tablecloth. These Tablecloths are perfect for holiday dining. Dimensions 84.0 In. X 84.0 In. X 0.25 In.